Did you know that honeybees are an incredibly important part of our ecosystem, pollinating up to 1/3 of the food we eat? 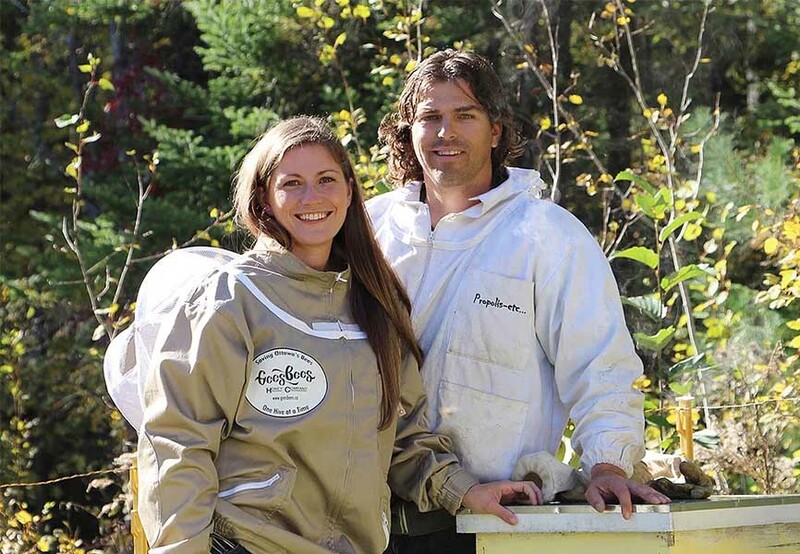 We caught up with Marianne Gee from Gees Bees in Ottawa to give us the low-down on these fascinating little winged creatures, including how she and her husband fell in love with beekeeping and have been spreading the word ever since. Read on to see what the buzz is all about! Tell us a little bit about yourself and Gees Bees. How long have you been in operation? How did you get started? Matt and I founded Gees Bees in 2015, but our adventures in beekeeping started unexpectedly in 2009. In the winter of 2009, we bought a house in rural Ottawa and in the spring time when we moved in, we discovered a colony of honeybees living in the wall of our house. We didn't want to exterminate them, yet couldn't find anyone to help us. So, one day in June, Matt put on a rubber rain suit, wrapped a towel around his head, took the siding off our house, and proceeded to take row after row of honey comb and the 50,000 bees out of our wall. We put them in an old cabinet, put the cabinet in the woods, and figured that would be the end of our honeybee adventure. Then a few weeks after that a swarm of honeybees (a big cloud of bees - a new colony) flew over our garage and started going into the same spot in our house. At this point, we called a beekeeper from Arnprior who helped us find the queen and put the bees in a proper beehive. This is how we became beekeepers. As time went on, we started rescuing honeybees out of other people’s houses - trees, chimneys, walls, etc. and our apiary kept growing. We started selling honey at the farmer's market and kept meeting people who wanted to learn about bees and beekeeping but didn't know where to start. In 2015, we launched our Host a Hive program to teach people about beekeeping and the charm of honeybees. Check out this video to hear more about Marianne and Matt’s story. 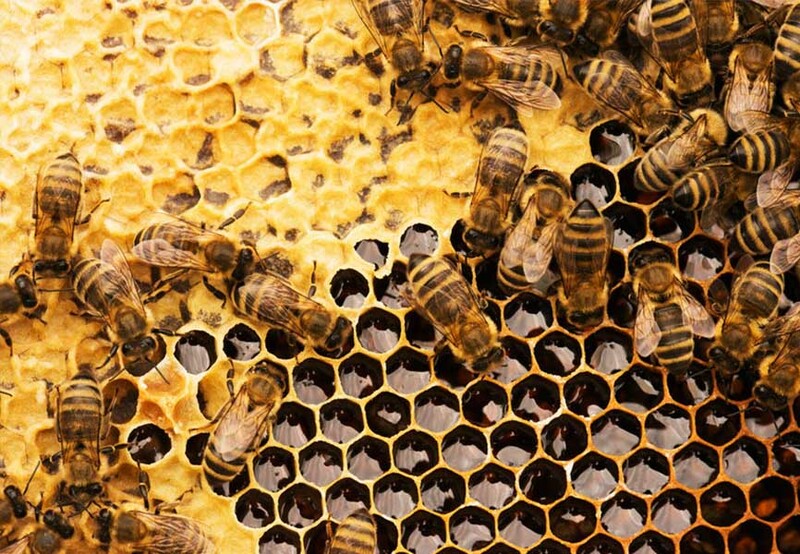 Why is it so important to educate people about honeybees? Why is it so important that people care? Honeybees and wild pollinators (like bumblebees, mason bees, butterflies) pollinate about 1/3 of the food we eat and are keystone species in the ecosystem. Without them, we wouldn't have apples, blueberries, oranges, plums, cucumbers, tomatoes... Pretty much any of the fruits and vegetables. Pollinators, including honeybees, are facing environmental challenges - widespread pesticide exposure, lack of a wide diversity of flowers, their own parasites and diseases, climate changes - all consequences of the way we grow our food. See Marianne speak more about honeybees in this March 2018 TEDx Talk. How can the community get involved/learn more? Because our agricultural system is at the root of the challenges faced by honeybees, we encourage as many people as we can to grow food in their backyard in addition to planting flowers. Communities can also support local beekeepers, host a hive and encourage school programs emphasizing the importance of pollinators. Can you tell us a bit more about the various programs you have at Gees Bees? Our flagship program is called Host a Hive. It is a beehive rental program where businesses and homeowners can rent a beehive while we do all the work of caring for the bees. In the fall, we harvest the honey from each individual hive and bottle it so that our hosts receive honey from their own backyard. During our visits, we bring along extra bee suits to teach our hosts about beekeeping. For businesses, we offer custom labelling of the honey. In 2017, we launched our Community Supported Pollination Projects. Located at Wesley Clover Parks in Kanata, Camelot Golf Course and Country Club in Cumberland, and our farm in Riverside South, this program is designed for people who would like their own honey but don't have the backyard space. At the start of the season in the spring, you can purchase a share of a beehive and at harvest time in September you receive your share of the honey (12 x 500 g jars). We have a “Bee Day” at each site, where participants can come out to meet the bees. We show everyone life inside the hive and explain how the honey is made. We offer extra bee suits and we have screened in viewing tents for participants. Back in the fall of 2015, our homebuilding division, Minto Communities, joined the Host a Hive program. Tell us a little bit about our bees! How are they doing? 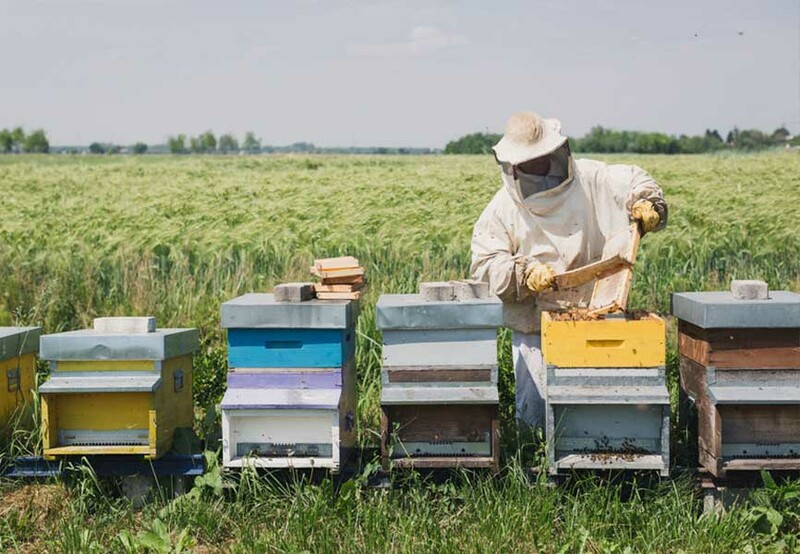 Minto Communities currently has two beehives (each has about 50,000 honeybees). 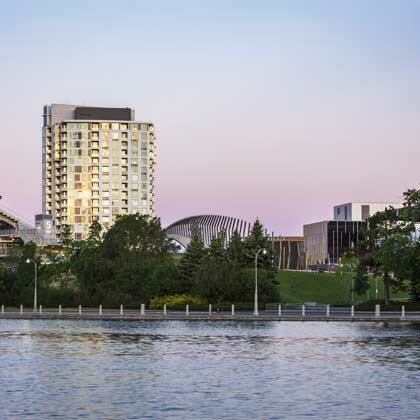 In the fall of 2015 we installed the bees at Arcadia after reaching out to the Sustainability Team at Minto. That first winter, the beehives were unfortunately stolen from the Arcadia site. In the spring of 2016, we reinstalled two new beehives at Arcadia and they have lived happily there since. This year we’ll be moving the bees from Arcadia to Mahogany. It can get pretty cold here in Ottawa, what happens to the bees in the winter? How do they survive? In the winter, the bees don't go dormant. They cluster together in a ball and keep each other warm by shivering their wing muscles. They wait patiently in the hive, eating honey, until spring arrives. 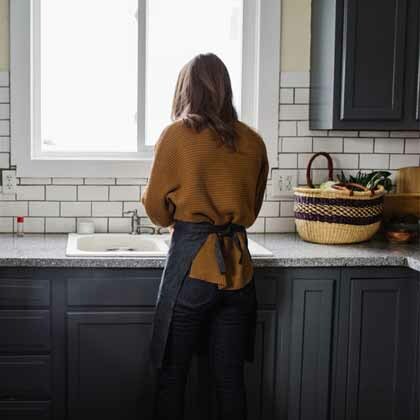 We’ve heard that there are many health benefits of honey, and that eating local honey can even help alleviate seasonal allergies. Can you tell us a bit more about that? Honey is naturally antibacterial and never spoils. Because local honey contains small amounts of local pollen, local honey can help those with seasonal allergies. By consuming small doses of pollen in the honey over a long period, it can reduce the immune reaction when those flowers bloom in the spring and fall. For more information on Gees Bees or to get involved in a Host a Hive or Hive Share program, visit their website.